Talk to a lawyer for Free 24/7 (314) 361-4242 : Determining who is at fault in a car accident can be a complicated situation. When you are in an auto accident in St. Louis, the first thing you have to do is to determine who is at fault and liable to pay for any damages and injuries. When only two cars are involved, deciphering who is at fault can be simple. But there are times when there are multiple drivers, pedestrians, bicyclists, or even when both drivers might be found partially responsible, which can make defining fault for liability purposes more problematic. Missouri is an at-fault state, which means whoever is found at fault and negligent for the accident is liable to pay for the cost of damages. Although it is an at-fault state, Missouri uses a pure comparative fault system. That means that drivers are awarded damages based on a predetermined percentage of how responsible they are for an accident. Once the cost of the damages is calculated, each party is responsible for paying their portion or percentage of liability. 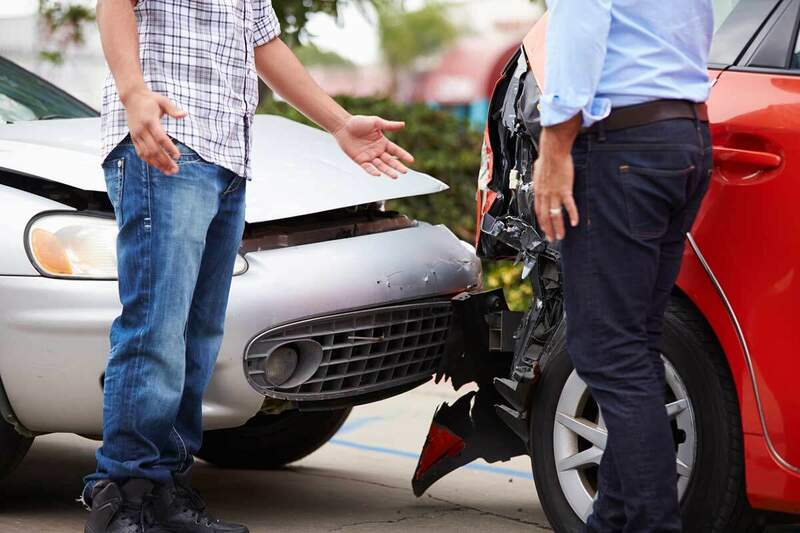 Since St. Louis goes by the pure comparative fault system, it’s always a good idea to hire a St. Louis auto accident attorney to protect yourself. If the accident is not clearly due to the negligence of just one driver, you will want a professional who can help you go through the complexity of ascribing percentages of liability. The reality is that the less you are found to be at fault or negligent in any car accident, the less you have to pay for the other party’s injuries, and the more you are entitled to receive. Negligence is a theory that states that either someone did something wrong that was responsible for the accident, or that they failed to do something that directly caused the accident. When who is at fault is determined by negligence, there is no intent ascribed. The person did not intend for the accident to happen, but the accident happened because of their actions. Wanton conduct or recklessness is different from negligence. Wanton conduct or recklessness refers to something that someone did willfully to cause an accident. Excessive speeding or driving while under the influence are both wanton or reckless actions that would lead to someone being found at fault. It is driving with disregard to the safety of others on the road. Cases where there is intentional misconduct fall under a classification called “tort” lawsuits. This is when someone intentionally commits a tort or crime, and the result is an automobile accident. These types of negligence cases make someone at fault because they set out with the intent to hurt or harm someone. Strict liability is when someone can be held at fault even when they have done nothing wrong. Cases when an automobile is carrying hazardous chemicals, or accidents where defective products are to blame, fall under the strict liability laws of being found at-fault. When the cause of an accident is straightforward, like someone was drinking and driving, who is at fault is usually easy to determine. But in other cases, sorting through the events of an accident to find out who is at fault and therefore responsible might not always be so clear-cut. That is why if you are in an auto accident in St. Louis, it is imperative that you hire a St. Louis auto accident attorney to help you with your injuries and damages. Even if you think that the case is clear, many things can muddle liability quickly. A St. Louis car accident attorney can help you to figure out your liability in a car accident so that you aren’t left holding the bag. One of the things they do is helping to collect facts about the case. To prove your case, you will need certain types of documentation to prove liability. Although it’s not admissible should your auto accident go to court, having a police report at the scene of the accident is an integral step to proving your percentage of fault, or lack thereof. A police report is also a good bargaining chip for your lawyer to use during the settlement and negotiation process. An excellent St. Louis auto accident lawyer will also help you to gather other information like eyewitness accounts, interviewing the responding officers, and to take pictures that can demonstrate the events of what happened to either prove your innocence or to prove the negligence of the other driver. The attorney will know the proper steps to take to prove your case in court. Although you can handle a car accident case on your own through an insurance company settlement, it is important for you to understand that the insurance company’s job is to limit their losses, not to compensate you. So it is always a good idea to have the help of a St. Louis auto accident attorney at your side to walk you through the complexity of deciphering fault, who is liable for damages and injuries, and how much each driver is entitled to recover.